Echo workshop just keeps giving. Are there enough words to describe how much God believes in you?! I am not sure about that because the belief in the call of God on your life is HUGE! So much so that I couldn't just keep you guys to myself. I had to brag on you to my friends. In return they poured out some of their experience and revelation on speaking because they also believe in your gift! God is GOOD ya'll!! Keep pressing in. Keep preparing yourself. Keep preaching! Jen has gone through her share of difficulties yet she continues to serve the Lord with perseverance and deep love. Listen closely as she gives you simple and practical steps to move forward when "you don't feel like it." Jennifer and her husband, Matthew, currently pastor King’s Gate Church in Hobbs, NM. She grew up the daughter of missionaries to the Dominican Republic and has traveled the world ministering to people of all ages. She graduated with a Bachelor's Degree from the University of the Southwest and served as an intern and staff member at Teen Mania Ministries. Jennifer leads the Flourish Women’s Ministry at King’s Gate. Her heart is to see women not only saved and healed, but also matured into true disciples. Jennifer is passionate about family, the local church, missions, teaching the Word, and her two, silly golden retrievers. Hannah has a passion to mobilize women across this nation to mark their world for Christ. She has dedicated her life to boldly preaching and teaching the Word to see women of all ages rise up in all God has called them to be. With her powerful and transparent preaching style she impacts women to step into all God has created them to be. Hannah is the founder of the Awaken Conference for young women junior high through college age. The Awaken Conferences reached, transformed and mobilized thousands of young women throughout the United States during its 3 year tour. 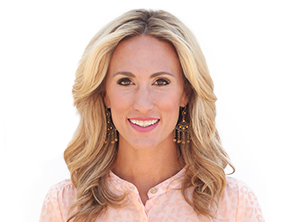 Most recently she is the co-founder and co-pastor of Thrive Church in Parker, Colorado with her husband, Pastor Jacob, and the founder of the Flourish women’s ministry of Thrive Church. Hannah is a graduate of Oral Roberts University, and is also the mother of three children, Faithlyn, Ethan and Graham. You will want to listen to this over and over again as she shares powerful insight from personal experience. Lindsey Bussey has served along side her parents, Pastor Sam and Becky Carr, as Youth Pastor at Word of Life Center for over 10 years. In 2006, she founded “True Image”, a ministry that encourages girls and women of all ages to pursue the image God has destined for their lives rather than allowing society to determine their futures. Lindsey’s passion is to help people reach their fullest potential in Christ and live the life God has planned for them. It is Lindsey’s heart that these girls and women know that a true image girl has nothing to lose, but has everything to gain! Knowing your audience and how they process the Word of God will greatly help your message to be received. Kira has preached to countless young ladies and has become a master of communicating to distracted, high energy, talkative girls. This is not easy to do but she gives you practical ways to keep their attention and have them wanting to hear more!